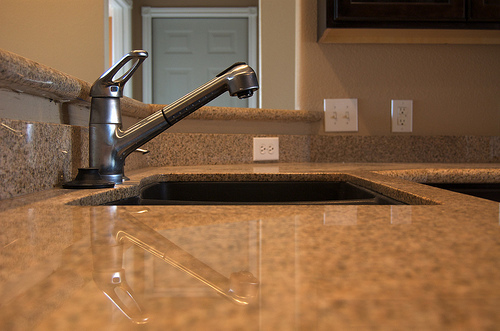 As you remodel your kitchen, you may want to consider upgrading your garbage disposal with an air switch. Why? Location. Because they’re mounted next to the sink, they allow you to turn the garbage disposal on without needing to reach far from where you’re standing. Fewer mistakes. Because it doesn’t look like a light switch, you’re less likely to accidentally turn it on when you’re going for a light. Not electrical. Because an air switch isn’t electrical, you don’t need to be careful of water the same way you need to with a traditional switch. Style. You can select an air switch in a variety of styles and colors to match your kitchen remodel, including black, white, chrome and nickel. Is an air switch a good fit for your kitchen? A kitchen remodel is a great time to upgrade if you’re considering it. This type of switch is great for sinks without a backsplash, especially those that look out to a dining/living room or that are located in a kitchen island. Want to know more? Contact us and we can tell you more about installing an air switch for your garbage disposal!